A refreshing salsa of cool cucumber, bell peppers, onion along with lemon flavour and jalapeno. Some may feel jalopeno to be hot and few like to light your mouth on fire. So if you find yourself with a dud, just add some red pepper flakes to the desired level of hotness. This dip can be served with any flavoured rice dish (mexican) or topped on baked potatoes or with tortilla chips. In a large bowl ccombine all the ingredients. Refrigerate for at least for 1-2hours before serving. Sour cream can be used alternatively to greek yogurt. Posted on October 30, 2014, in Dips, Dips, Indian, International. Bookmark the permalink. 26 Comments. I love that salsa with the rice dish, it looks so fresh and delicious. Cucumber and lime are a beautiful combination. This looks so refreshing and delicious! 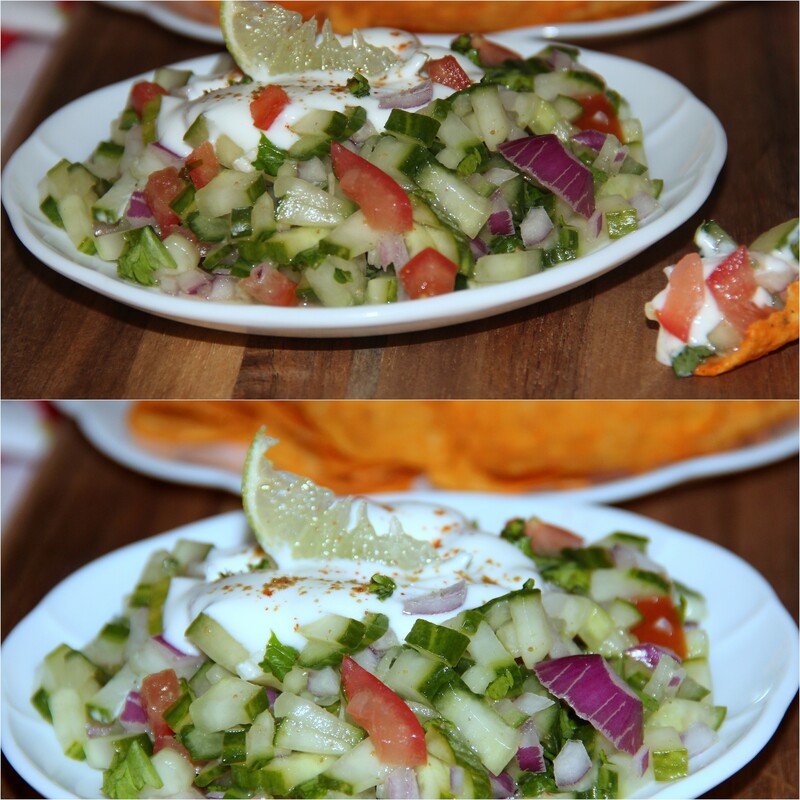 I love salsas with cucumber, and i love cucumber dips and here you have both together! Thank you Frugal. .. glad to know you love cucumbers and salsas and feels great that you found both in my recipe. ..
That sounds so lovely and refreshing! Great recipe!